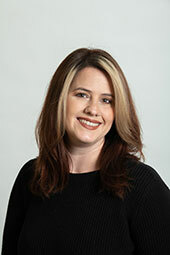 Amanda brings twenty-two years of experience to our salon. Having a passion for education, she has completed countless hours in certification classes in cutting, coloring, formal styling and classic makeup. 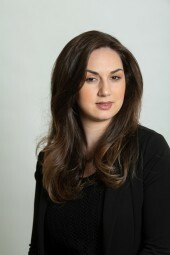 Amanda is certified in both Great Length hair extensions and Global Keratin smoothing systems. Her favorite part about being a hair stylist is not only making every guest look beautiful, but making them feel truly cared for during every visit. As the Salon Team Manager at the Albany location, Christopher thrives on working closely with the talented and creative salon team at Complexions. He joined the Complexions Hair Design Studio after graduating from Austin’s School of Spa Technology as one of their top students. He began his career as an accomplished makeup artist and theatrical hair designer in both Manhattan and the Capital Region. Christopher’s training includes advanced cutting and color with the Redken Exchange, Rusk, MAC, Sebastian, and the Wella Studio. 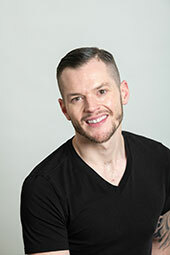 He is also a Network Educator with Bumble and Bumble serving as a liaison and salon educator. Christopher successfully completed the Master Cutting and Master Styling programs at The House of Bumble in New York City and is excited to bring many of the current trends to Complexions and Upstate New York. Christopher’s versatility in both traditional makeup and airbrush makeup artistry are a winning combination. Additionally, he is a certified extension specialist with SOCAP USA. 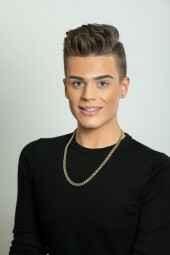 Christopher is dedicated to customer service and personal attention, and enjoys making each client feel special by matching their personality to their hair and makeup style, and bringing out the true beauty and confidence in each and every client through fun, fashion-forward looks and classic and chic designs. 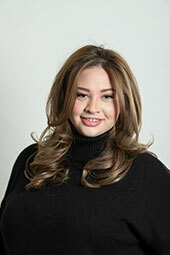 Danielle brings over twenty years of salon industry experience to the Complexions team. Her advanced educational background includes experience as an Education Director for a professional distributor of salon products. She has trained with some of the industry’s top professionals including Paul Mitchell, Kaaral USA, RUSK, Neuma, Farouk Systems, Matrix and L’oreal. Danielle also worked and trained in New Jersey before relocating to this area. 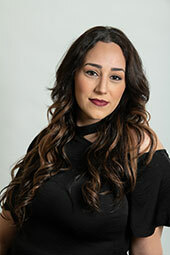 Her areas of expertise include long layering techniques, curly hair cutting, individually customized highlights and foiling techniques. Danielle loves color! 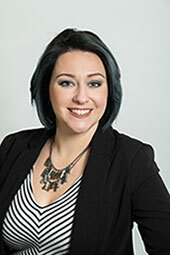 Danielle believes that every client deserves to be listened to and, as a client in her chair, you will always receive a thorough and in-depth consultation. 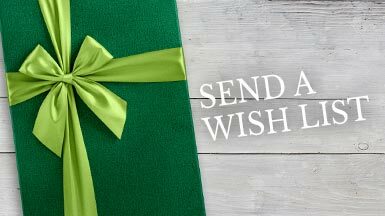 She believes in giving not just a great experience and consistent service, but creating and providing each guest with what they need to recreate their salon look. We first realized Reggie’s talents as a hairstylist and colorist when he first began working with us 1987, in our original location. 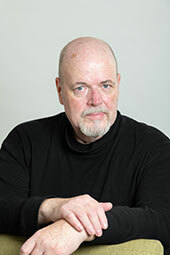 He left the Capitol Region in 1997, and was a top stylist in the resort town of Provincetown on Cape Cod for ten years. While there, he applied his skills and built a clientele that included a number of high profile celebrities. He then traveled to the Midwest, where he honed his skills even further through extensive training in the latest trends and techniques of cutting and coloring. His attention to detail, sharp eye for the design of the cut, and knowledge of the art and chemistry of coloring techniques always produces classic elegance suitable for any lifestyle. He returned to Complexions over six years ago bringing with him an impressive resume that includes many examples of his artistry which have appeared in numerous media, including stage, screen, television and print. His artistic vision and work ethic combined with his warm and friendly manner guarantees not only client satisfaction, but an enjoyable salon experience as well. George began his career in New York City where he was trained by some of the top hairdressers in the industry. His clientele consisted of many prominent women and he was privileged to work behind-the-scenes on the hair of runway models for big fashion shows. George eventually decided to leave New York City and open up his own salon in Albany, where he spent years cutting and coloring the hair of wives, professionals and politicians. 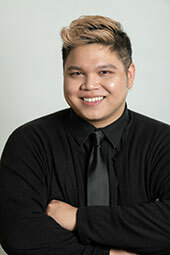 George is excited to bring his talents to Complexions and is dedicated to making all of his clients look their best. Kelly has loved the beauty industry from a young age and has always considered herself an artist. Her passion for hair stems from the excitement of being able to completely transform someone’s look by simply enhancing their natural beauty. Kelly received her license just over 10 years ago and continues her education by taking classes and training with industry icons. Combining techniques like foiling, balayage, block coloring, blunt cutting and texturizing allows her to think outside the box and give her clients a completely unique look. She always takes into consideration what the client brings to her chair like their skin tone, face shape, eye color and natural hair tones for a beautiful result that clients love. Mia recently graduated top of her class at Paul Mitchell the School in Schenectady, with honors in cutting, color and texture. Always up for a challenge, Mia stays up-to-date with all the latest color and hair trends. 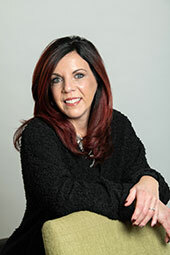 She prides herself on making her clients feel and look amazing with one-of-a-kind looks. Ueda graduated from Orlo School of Hair Design. While there, she attended as many extra classes as she could to gain extensive knowledge in both Wella and Paul Mitchell. Ueda enjoys getting to know each and every one of her clients, since understanding their personality and lifestyle helps create the best personalized cut and color specific to them! Along with cutting and coloring, Ueda loves updo’s and special occasion styling to show off her creativity and expertise! Brittany Piechota is a graduate of Paul Mitchell the School Schenectady class of 2016. Before beginning a career in the beauty industry, she graduated with an A.A.S in Fine Arts from Hudson Valley Community College. 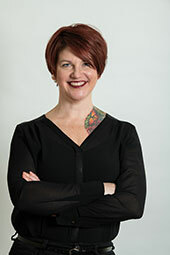 She has extensive knowledge in both Paul Mitchell and Goldwell Color, and she constantly seeks ways to expand and improve her education and craft. Brittany’s favorite coloring techniques are balayage and Mermaid Hair. Elisabeth has been in the beauty industry for over a decade and loves trying new techniques. While behind the chair, Elisabeth is completely focused on making her client happy—whether that means traditional foils, cuts, or a blowout that lasts for days. In years past, Elisabeth also focused on special occasion hair and continues to love upstyling today. She has recently begun concentrating on learning to master curly hair and using different straightening techniques. 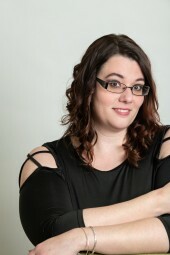 Elisabeth’s specialties include men’s cuts, asymmetrical bobs, lobs, and pixies. Each cut is personalized based on the clients’ needs, lifestyle and personal beauty regimen. Kristina graduated top of her class at Paul Mitchell the School in Schenectady, learning the latest trends in hair coloring, cutting, hair extensions and makeup application. Kristina enjoys helping her clients feel relaxed by taking the time to listen to their needs to ensure that the final results are what was desired. She is always seeking perfection in anything she does for her clients, starting with the perfect shampoo. Her favorite part about being in the beauty industry is making her clients feel good about themselves and the seeing them leave her chair with a smile on their face. Giuseppe Silvestro brings old world Italian charm to the Barber Spa at Complexions. Silvestro, from Sicily, moved to the United States in 2010. 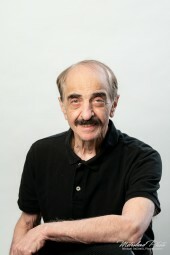 He attended Austin’s School of Spa Technology in Albany where he received his Master Barber license. Silvestro also obtained a certification through the CHI Environmental School Program, which focuses on environmentally safe hair care products. 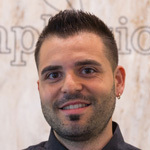 Silvestro has the skills to tackle all hair styling and grooming needs for men and provides the latest tricks and techniques to help his clients look good and feel confident. Originally from Long Island, Kevin joined the Complexions team in May of 2015 as an assistant/junior stylist. Prior to Complexions, he had freelanced, doing hair both in Albany and Long Island for 2 years. Kevin has always enjoyed working with people, and providing them with an enriching experience. After college, he attended The Long Island Beauty School, where he realized that hair and beauty were the perfect platforms for his passion of art and customer service to mix. Since school Kevin has continued to hone his skills, and keep on top of the latest trends. He appreciates many aesthetics, both timeless and edgy, and has a soft spot for bridal hair and makeup. Kevin specializes in Balayage (Hair Painting), Creative Color, and Custom Cutting. 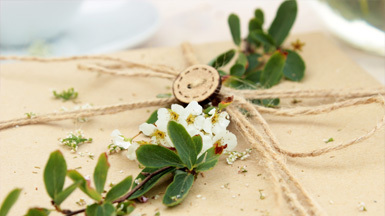 He has a passion for learning, and continue to pursue classes and seminars related to beauty. It’s not uncommon to see him in the staff room looking up technical videos and reading up on new products we carry in the salon. Kevin has studied Goldwell and Wella color, as well as René Furterer, Bumble & Bumble, and Angel Extensions. It’s with this knowledge, and love for the industry, that he provides his clients with not only a look, but the tools and education to maintain their new style. 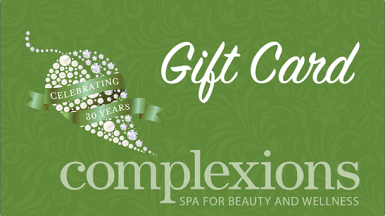 Natalie brings her makeup artistry skills from Los Angeles, California all the way to us here at Complexions Spa! She attended Burbank California’s Makeup Designory and graduated with a Multimedia Makeup Artistry Program certification. In the past 5 years Natalie has showcased her talents on many films, photo shoots and fashion shows in both California and the Capital Region! She specializes in bridal, prom, special occasion, airbrush makeup and airbrush tanning. Natalie not only enjoys creating gorgeous, long lasting makeup looks, but strives to create a look that her client will feel comfortable in all night long. Dylan graduated from the Sassoon Academy in South Florida where he honed his cutting, styling and red-carpet blowout skills. As a lover of all things fashion, Dylan did hair and makeup for multiple big fashion shows in the Miami and Fort Lauderdale area. Dylan loves making each and every client in his chair feel beautiful and glamorous. Daisy received her Cosmetology License at Capital Region Boces and specializes in elaborate braids and trendy upstyling. Her detailed braid work has received a lot of attention, allowing her to travel with BoHo Faux to different music festivals to create beautiful braids for the attendees. Daisy’s bright smile and positive energy make all her clients feel relaxed and at home while in her chair. 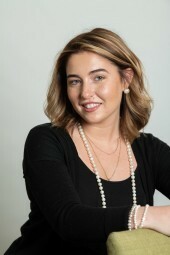 Daisy also received her aesthetic license at the Aesthetic Science Institute and is a Certified Brazilian waxer as well as an eyelash technician.